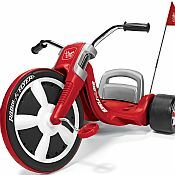 Ride On Toys provide your child with years of pleasure that can benefit them in many ways. Of course, ride on toys offer good, old-fashion fun! But did you know that Ride On Toys can also provide your child with an improved sense of balance and confidence that will help them as they grow? It is a well known fact that children who spend a lot of time engaging in active play tend to stay active and healthy into adulthood. With Ride On Toys, active children learn to maneuver swiftly, efficiently, and safely through their immediate surroundings, a quality that can benefit them as they grow and venture into new life experiences. Ride on toys also have the advantage of attracting kids to outdoor play who might otherwise spend their time and energies on sedentary pursuits like television and computer games. Ride On Toys have been a cherished part of childhood for generations. 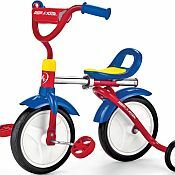 A Ride On Toy can be found to fit every little personality, and they are available in a wide range of styles and designs.